EPISODE 5 OF 8: Overwhelmed by the responsibilities of becoming a father, Jian Zhang knows he must leave behind his role as an NBS agent. To do so, he'll have to put his family's business in the hands of his corrupt cousin so he can bring down The Syndicate on his own. Meanwhile, acting as an undercover NBS agent within The Syndicate, Agent Felicity Wilson has no clue her first assignment for the corrupt organization involves fellow NBS recruit Leah Carlsson. Her next surprise? Learning the project they're working on involves software capable of accessing confidential files that may contain information about her birth father a man she hasn't seen in twenty-two years. After discovering The Syndicate's plans for Project Tessarap are more complex than expected, Felicity decides to take matters into her own hands. Her single-minded approach to getting answers she needs compels Agent Nicholas Clark to leave Cape Town to protect her in New York. -- ABOUT THE SERIES: NBS agents are trained for one purpose: bringing down The Syndicate, an international crime organization aimed at profiteering by keeping countries at war with one another. When an NBS agent is murdered shortly before her first assignment, five new recruits quickly realize the agency they're working for may not be as trustworthy as it seems, forcing them to make a pact in order to survive. Can the new agents stay alive long enough to uncover the truth behind their fellow recruit's death? Or is finding answers hidden deep within both organizations tempting enough to make one of them break the pact? -- For fans of Robert Ludlum, THE BOURNE IDENTITY, John le Carré, THE SPY WHO CAME IN FROM THE COLD, Daniel Silva, THE UNLIKELY SPY and HOMELAND. -- Christian Liberty Marshall is an Austrian-based writer, and musician with degrees from Vanderbilt University, and University of Music and Performing Arts Graz. When not performing as a violist, he can be found teaching at the Popakademie Baden-Württemberg, writing educational material for children, or translating German literature. 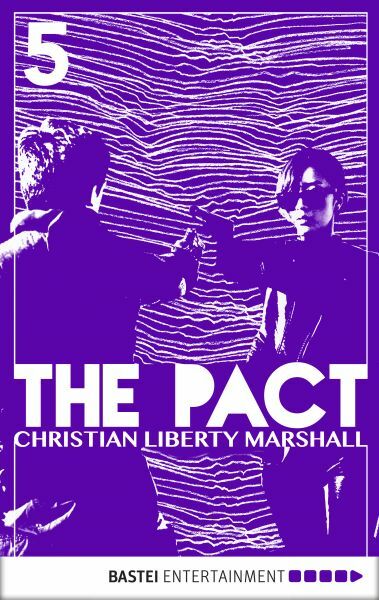 His first serial novel, The Pact, is available in summer 2015.